Christian and Hopeful discourse about good spiritual matters. Hopeful gave a wonderful account of the Lord’s dealings with his soul. Ignorance is also invited to the conversation and his misunderstanding of God’s method of justifying sinners comes to light. After this, they discuss how or why a man would end up turning away from the faith. 137-8 How does ignorance come to believe he is going to heaven? Does he believe God’s judgment of his sinfulness? Can a person be a Christian and not have the same judgment on this matter? Explain. 140 What is justification? Ignorance says he believes in it. Does he? Is anything wrong with his view? How does he respond to Christian’s explanation of what justifying faith is? 140-1 Explain the point Hopeful and Christian were trying to make regarding a need for “revelation”? 142-3 Christian and Hopeful discourse about right and godly fear. They talk about conviction of sin. What purpose does a conviction of sin serve before one comes to Christ? 143-4 In their journey, they talk about Temporary, Turnback, and Save-self. Mr. Temporary’s own backsliding is rehearsed. Four reasons are given for the backsliding into hell. What are they (put them into your own words as best as you can)? 145 Christian also describes what happens once those four reasons for backsliding occur. Explain why #1 is #1. Also, explain how #1 leads to #2. Explain why #5 works. What advantage is there in doing such a thing? Ignorance’s response indicates that he understood what Christian was saying. He draws a different (and wrong) conclusion. Ignorance believed that if we looked solely to Christ for justification, then what we do would not matter at all. He is saying that Christian’s view of justification would lead to licentiousness (or antinomianism – “lawlessness”). Neonomians in Bunyan’s time along with Roman Catholics all responded as ignorance did in reaction to the biblical view of justification by faith. Many modern Protestants do not understand this glorious doctrine and would find ignorance’s own view to be theirs. This is not a word we use very often. 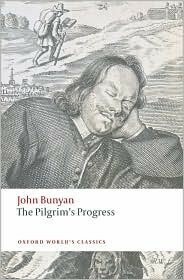 It was a common word in Bunyan’s time and a generation of two after. It denotes the experience of sinner who has been arrested by conviction and alarmed by his predicament through the preaching of the Gospel. The question for most of them was over how deep the awakening went. Did it issue in new life or did it only issue in a shallow temporary faith? Too often, people confuse awakening with conversion. One could be awakened and not converted. This is a reference to apostasy. Depending on how one defines backslide, Bunyan has in mind the ultimate backsliding, namely, the falling away from the faith (apostasy). Christians can stumble and slide back for a season but their recovery alone will show that it was a set back and not a final fall. Christian explains how a person can come under conviction and yet turn away from the Lord. The conscience is awakened but the mind is not changed. Like a man feeling guilty because he was caught, he intends to mend his ways. Once the “danger” of being caught, exposed, implicated, etc. passes away, then the guilt recedes. When this happens, his religion disappears. Fear must not be the only motivation. Once the fear recedes, the fear of man dominates. They don’t want to be too religious and hazard everything (trying to be “wise” about all this). Once the sense of Hell abates, their sense of shame increases — shame of religion. They don’t like to see their guilt and sense their misery.